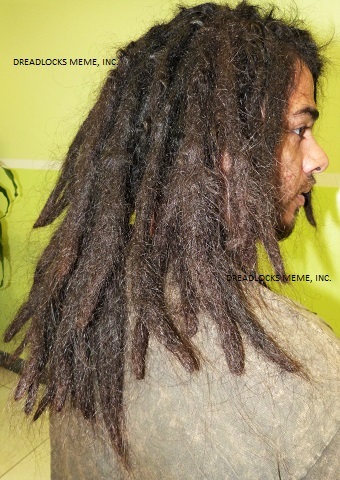 These are repairs done on the base of the client's Locs, to reinforce the client's existing parts. 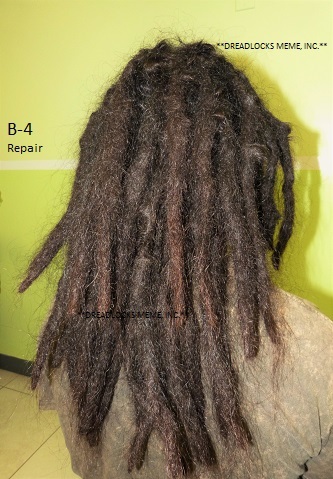 In addition, repairs are also done on the client's locs by entering the majority of the loose into the client's locs and by repairing the lumps and the loops around the client's actual locs. 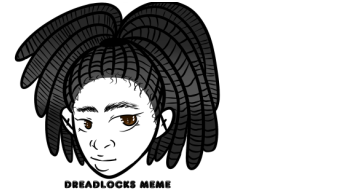 Therefore you will have a better understanding prior of scheduling your next Consultation or Dreadlocks service appointment with us. 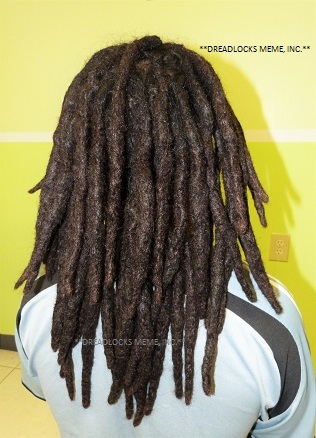 As you can see on that picture there is a lot loose hair and the locs will be repair by entering all the lumps and loose hair around the locs. 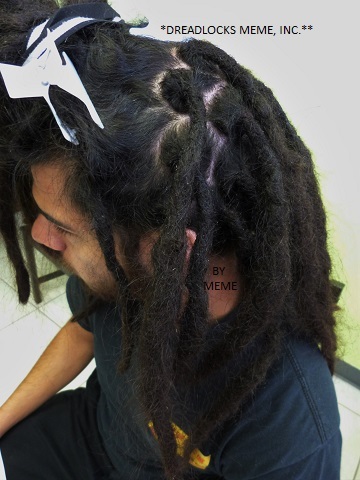 ​not an accurate dreadlocks service price. AN ACCURATE PRICE WILL BE PROVIDED AFTER A THOROUGH CONSULTATION HAS BEEN CONDUCTED. 3. 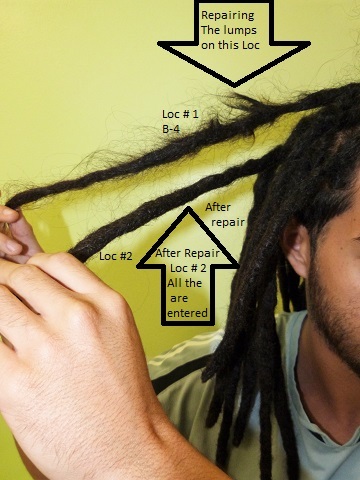 Repair the lumps and the loops around each actual locs. 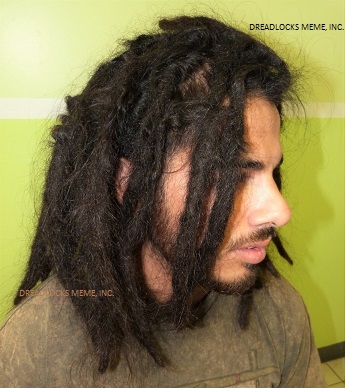 (Dreadlocks) .................................$ 12.00 & Up Per Loc. 4. Repair the thin area around the locs ..................................................................................$ 8.00 & Up Per Loc. 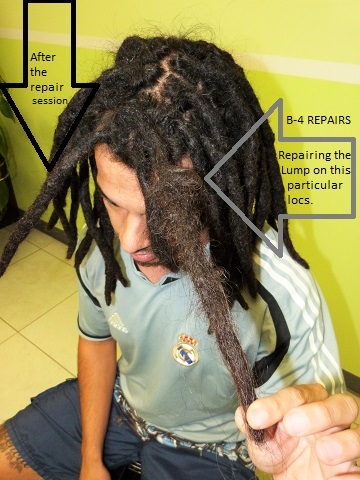 There are about 6 more steps to finish this type of Dreadlocks Repairs. * Or any client's descriptions in regards to their hair or dreadlocks. 3. 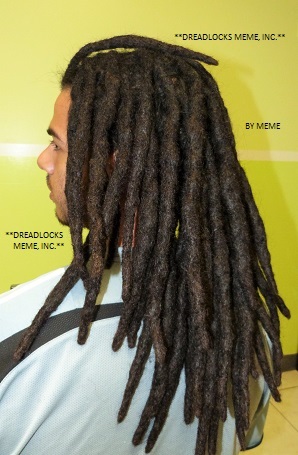 Discuss the Dreadlocks Services the potential client is requesting. 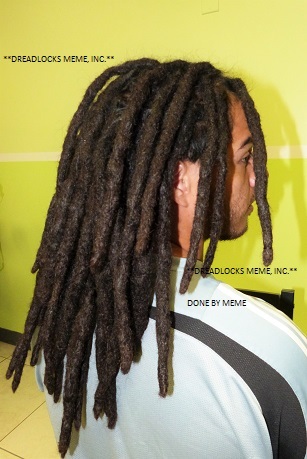 $63.00 both consultation fee and deposit will be deducted from the client final dreadlocks service price. you an excellent dreadlocks service. Hours of operation is as follows. Open on.................................. Tuesdays through Saturdays from 10:00 a.m. to 7:00 p.m.
You can also e-mail us at anytime. ​Thank you kindly for viewing this page.